January 26, 2017 –– Links International Journal of Socialist Renewal reposted from Climate & Capitalism –– About 11,700 years ago, the last ice age of the Pleistocene ended and a new time of relative warmth and climate stability began, an epoch that geologists call the Holocene. 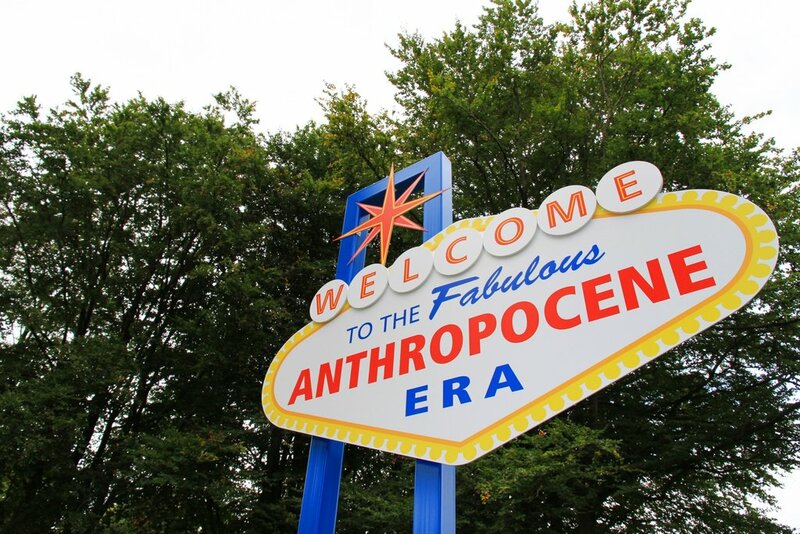 Now, a large body of scientific evidence shows that “the Earth has been pushed out of the Holocene Epoch by human activities.” A new and unprecedented time of sweeping global change, the Anthropocene, is now underway. July 29, 2016 -- Links International Journal of Socialist Renewal reposted from Socialist Project -- The ecological and social implications of climate change have – or should – become a central parameter for all discussions of work and capitalism. Greenpeace activists during a protest in Paris at the COP21 United Nations climate change conference in November. January 13, 2016 - Links International Journal of Socialist Renewal - It has been a month since the UN climate summit in Paris, aka COP 21. One might expect the kind of ebb and flow we often see in popular movements. Interest in climate issues, the cause of the day during the summit, might be expected to wane and move to the back burner of public discourse until such time as another development pushes it forward again. However, climate change is fundamentally different. It is going to get worse — we will be getting slapped in the face with this one for a long, long time, even under the best scenarios. Only a few weeks after COP 21, the world experienced a wave of floods and extreme weather exacerbated by global warming. In the US, there were record-setting floods along the Mississippi River. In South America, floods caused the evacuation of 180,000 persons. In Scotland, floods cut across class lines to threaten a historic castle neighboring the Queen's Balmoral residence, its foundation being eaten away by the swollen Dee river. Meanwhile, oil wars and drought continue to drive an immigration crisis in Syria and throughout the Middle East and Northern Africa. The issue of climate is not the “struggle du jour” - it is going to be the main course for quite a while. May 19, 2015 -- Climate and Capitalism, posted at Links International Journal of Socialist Renewal with permission -- What can lobbyists do when science contradicts their political messages? Some simply deny the science, as many conservatives do with climate change. Others pretend to embrace the science, while ignoring or purging the disagreeable content. That’s what the Breakthrough Institute (BTI) is doing with one of the most widely discussed issues in 21st century science, the proposal to define a new geological epoch, the Anthropocene. President of the Maldives Mohamed Nasheed: ``You can't negotiate with physics!''. December 15, 2009 -- Klimaforum09 -- The president of the Maldives, Mohamed Nasheed, stressed the power of people to take action on climate change, when he spoke to a packed audience at Klimaforum09, the alternative climate summit in Copenhagen, on December 14. “The social movements have the power to save the planet from the effects of climate change. My message to you is to continue the process of movement building after the conference”, the president said. Mohamed Nasheed used his own personal story to illustrate the point. A few years ago he was in prison because of his work as a human rights activists, but upon his release he became the first democratic elected president of the island nation acutely threatened by the rising sea levels.